Say goodbye to frozen lakes and snow plowing and say hello to lush fields, abundant trees and your car playing out as the world’s largest hedge trimmer. Spring in Forza Horizon 4 is inching us closer to how the game was at launch and brings with it some quirks of its own to keep you challenged. The danger sign jump from last week looks a lot different now. 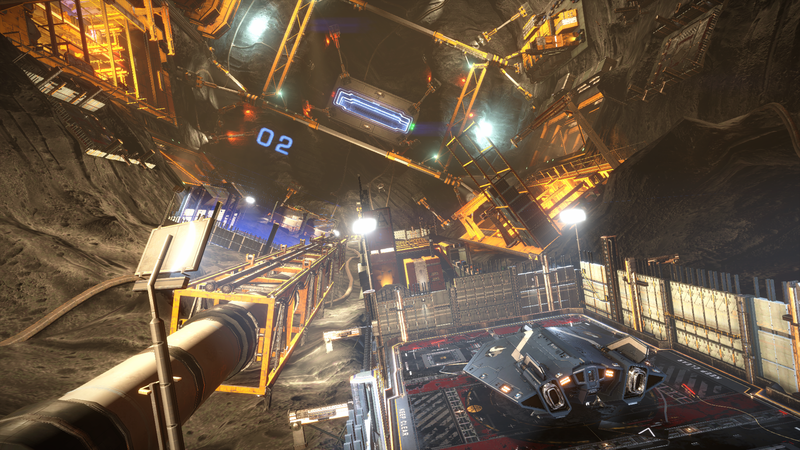 The previously barren fields are now grown and visibility can be impacted a lot of you’re using the cockpit view. You’ll be seeing nothing but grass in some cases. For players who enjoy barreling through fields it’s going to be a lot prettier this time. As for the roads, even with the thaw there’s still surface water so still be prepared for some sliding around corners. I’m not going to say anything more about this season’s barn find except that it’s a great addition that’ll fit in nicely with most player’s car collections. Considering the rate you accumulate new cars that’s saying something. I still have a couple of favourite cars that I received early in the game but now that I’m taking part in more events I’m finally seeing the value in trying them all out. Taking part in championships, the James Bond themed ones are a nice touch if you have the DLC, it becomes pretty clear that if you’re not tuning your vehicles to get the best out of them you are putting yourself at quite the disadvantage. The slightest improvement to your car’s specs could make a significant difference and it’s worth looking at even if you prefer to use other player’s uploaded tunes. With prize money from events not going as far as it used to, you need to be a little more selective with the upgrades this time. Forzathon continues to be a fun alternative to earning cars and items. There’s very little you can do in the game that won’t earn you points at some stage due to the constant rotation of daily and weekly challenges. I think it works in getting casual players a chance to get involved in parts of the game without the need to commit to lengthy championships. The chance to purchase “Forza Edition” vehicles without relying on a lucky wheelspin also lets everyone get a taste of the rewards that come from playing more of the racing events. I still find the occasional thing in the game that I wish could be handled differently. For a racer that does such a great job of creating an open world the times when you’re restricted can be jarring. Having walls or hedges that are impossible to break through just seems out of place but thankfully they are confined to only a few locations. The time I’ve spent in the game already means that apart from additional barn finds there may not be much more to see until I reach the final rounds of the various race series. However with so many more events still to complete I may never be fully done with the game and that makes it an easy game to return to in the coming months, especially with expansions on the way. Clear skies, green grass and open roads. Spring in Forza Horizon 4 sure is pretty. Forza Horizon 4 is out now on PC and Xbox One. Despite being a great game I still have suspicions that I’m not able to drive the same way in real life.